At the heart of the SWD Wright of Passage Program is Mercator. A donated 1974 Herreshoff Ketch, in need of repair. 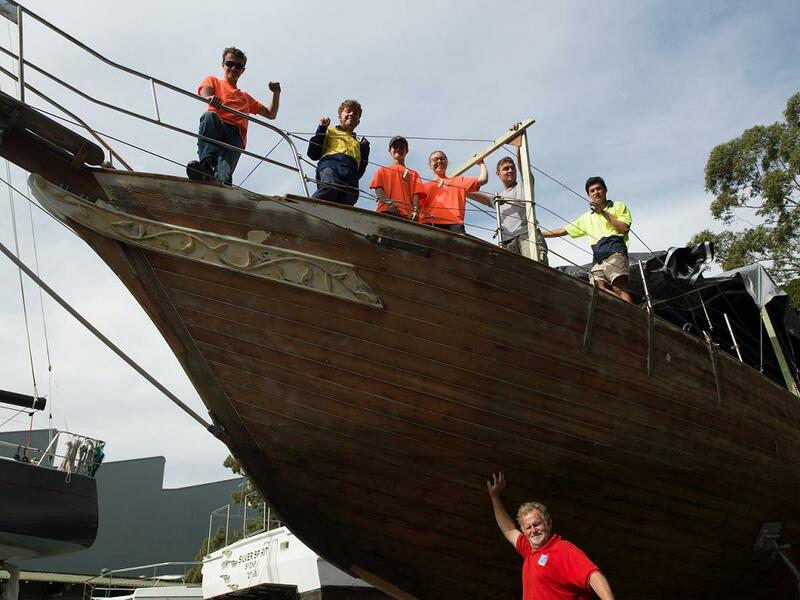 Participants in the Wright of Passage Program are working to restore Mercator to her former glory and will then sail her to Hobart for the 2019 Wooden Boat Festival. History of the ketch – what we know is the owner builder Doug Barron was a salmon fisherman and fishing boat builder in Sidney Vancouver British Columbia. After sailing two voyages across the Pacific (the first to New Zealand and the Second to Hawaii), the boat was sold to Jim Beckman who sailed her from BC to Hong Kong and we understand down to Australia. The third owner of Mercator was Fred Van Steel who later donated her to SWD. Making SWD the 4th owner. Sailors with disABILITIES Inc. ABN 82 714 459 575 is endorsed as a Deductible Gift Recipient.Donations of $2 or more are tax deductible.